with advanced tools designed to save you lots of time. 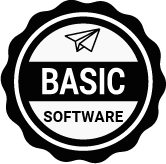 Basic software offers access to all our screened, vetted writers, and core workflow tools. Designed for larger brands and agencies to scale content with next-gen software and tools. 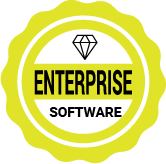 Super-advanced software for team-management, content strategy, and auto-publishing. Search the profiles of 15,000+ writers only in over 60 different industries by skill, experience, and location, with access to samples and reviews. Request delivery on your orders within a day or two as needed, with a 5-day window for you to approve or request revisions on each order. With a simple order form, get ANY type of content you need, including articles, blog posts, copywriting, product descriptions, scripts, social posts, and white papers. Manage all your orders with core tools that make the back-and-forth process easy and publishing to your platform simple with just one click. Download our app to approve orders, manage the workflow, and communicate directly with talent from anywhere, anytime. All the content you purchase at WriterAccess is original with Copyscape, the leading source of verifying content originality on the web. Quickly document project descriptions, target audience, tone, style requirements, and more with our order form quick-pick selections. Publishing to HubSpot, WordPress, and 12 other sites makes it fast and easy to distribute your content in one click. BASIC tools include Visual Workflow, Topic Finder, and Language Grader, which offer shortcuts to content marketing success. Quickly set up API integration to publish approved content to any of our partners. Share writer lists, order templates, and performance data with up to 3 users using built-in permission management. Access our entire pool of 15,000+ freelance writers, editors, content strategists, and translators who deliver projects to your exact specifications. Request delivery on your orders within a day or two as needed, with a 7-day window for you to approve or request revisions on each order. Connect directly with talent using our conference call lines for 50 cents per minute. Calls are recorded and attached to orders for future reference. Access the Getty Images library of high-resolution royalty-free images, editorial stock photos, vector art, and more. Pay only $6.00 per image. Access the detailed order form for complex project descriptions, research requirements, tone and style specifications, and production schedules. Use Smart Match Me Up on orders, and our algorithm finds the perfect writer for your project matching your needs with skill, performance, and availability. 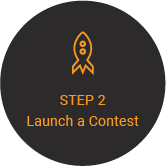 Host a writing contest with three writers who all compete to win your business. You offer feedback on the first round, then pick the winner. Clarify your specifications with our proprietary call-in service that attaches an MP3 voice recording to your order. Save time developing topics using the detailed order form to request topic pitches from writers that you approve and confirm before execution. Use the bulk upload feature to pull your requirements into the order form, including instructions, keywords, team or solo writer, and more. Control spending limits with different users, and track costs with reports that manage budget and workflow. Get access to additional tools, including a Content Planner, Brief Builder, and Industry Insights (powered by BuzzSumo) on popular content and influencers. Track publishing frequency, keyword optimization, and clicks with Google Analytics, WordPress, bit.ly, and other platform integrations for 1 domain. Track 100 keyword search engine listing positions monthly with SpyFu data, keyword analytics, and performance reports for 1 domain. Get monthly reports to track how much content you’ve published and how it’s performing with keyword listing positions, traffic to your site, and more. Software spotlight: Writing style contests! Pro software. Advanced software to scale. Everything in BASIC Software. And lots more! Enjoy 10 users at WriterAccess who can share writer lists, order templates, and performance data with built-in permission management. Request delivery on your orders within a day or two as needed, with a 10-day window requirement for you to approve or request revisions on each order. 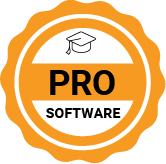 We waive the 70 cents per order fee to help you save when you invest in our advanced PRO software subscription. For 35 cents per minute, connect directly with your talent on conference calls that are recorded and attached to orders for future reference. Access the GraphicStock library of 700,000 high-resolution, royalty-free images that you can use anytime, anywhere— free! Customize your order requirements by adding fields for additional content like tweets, Facebook posts, meta-titles or meta-descriptions, and more. Use white label solutions designed for agencies to work with clients on content approvals and/or creative brief development, without any WA branding. Use special tags on order forms track clients' monthly spending, accessible online or through automated email reports. Scale up or down with permission management for all your users and clients, and limit access to budgets, talent lists, and performance data. Access advanced tools including a Creative Brief Wizard and a Psychometrics Profiler which predicts the psycho-demographic profile of a text’s author. Track publishing frequency, keyword optimization, and clicks with Google Analytics, WordPress, bit.ly, and other platform integrations for 5 domains. Track 500 keyword search engine listing positions monthly with SpyFu data, keyword analytics, and performance reports for 10 domain names. PRO software spotlight: Content analytics partners! Everything in PRO Software. And way more! Enjoy unlimited users at WriterAccess who can share writer lists, order templates, and performance data with built-in permission management. Request delivery on your orders within a day or two as needed, with a 14-day window requirement for you to approve or request revisions on each order. Connect directly with talent on your list through conference call lines for FREE. All calls are recorded and attached to orders for future reference. Access the VideoBlocks library of 80,000 high-resolution, royalty-free video files that you can use anytime, anywhere for zero charge. Bring your own freelancers to WriterAccess, and pay a reduced 10% fee for payment processing (30% standard fee). Work directly with select writers by buying out your contract with WriterAccess for a one-time fee that must be agreed to by all parties. (Coming Soon!) Publish approved content in a printed book using our technology that integrates with Amazon and all major bookstores. Unlock the power of WriterAccess in your own software environment with our API that offers access to most of our major software features. Get in the driver’s seat with content strategy using the three tools below that quickly incorporate the essentials for content marketing success. Document what your customers are thinking and feeling. Visualize your target audience’s pain points and psychometric data. Parse keywords into silos to make optimization fast and easy. PLUS, PRO, and ENTERPRISE software spotlight: Analytics! Your Content Planner offers a calendar and list view of your content ideas, active projects, export orders, and more. It's your nerve center for content marketing. Content Analytics pulls in all the content you've published on WordPress, Facebook, and/or Twitter, with reports on your views, clicks, keyword optimization, and more. Keyword Analytics allows you to drop in your SEO Keywords to track content usage, Search Engine Result Positions, and keyword performance data on-the-fly. Monthly Performance Reports summarize the content you've published the previous month, reporting impacts on search engine rankings, traffic, and clicks.